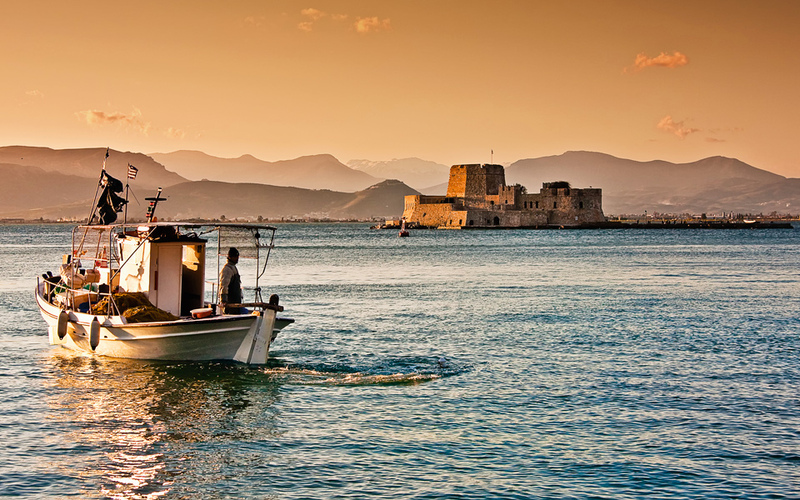 The Venetian castle of Bourtzi (1473) in the harbor of Nafplio protected the city from sea invaders and pirates. From Mycenae and Epidaurus to cosmopolitan Porto Heli and picturesque Nafplio, Argolida has something for everyone. A fertile land of orange orchards, kitchen gardens and olive groves, encircled by mountains and washed by the sea, Argolida (ancient Argolis) is further blessed with a mild climate all year round. These ideal geographical and climatic conditions had attracted humans to the region since as early as prehistoric times and facilitated the emergence of the remarkable Mycenaean civilization that flourished from 1600 to 1000 BC. Its decline has been associated with the invasion of Doric tribes from the north, who were followed many centuries afterward by the Romans and later by Venetians, Franks and Ottoman Turks. 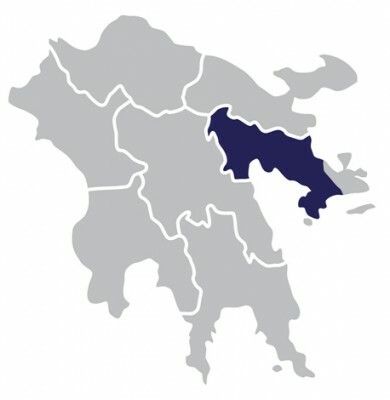 When the modern Greek state was founded Nafplio, the prefecture’s capital, was made the seat of government. Today, travelers choose Argolida for both quick getaways and longer vacations. From Mycenae and the Ancient Theater of Epidaurus to cosmopolitan Porto Heli, from shaded camping sites at Drepano and busy Karathona beach to more secluded stretches of sand at Kondyli, Argolida has something for everyone. Bus services are very frequent to and from Athens, and the drive to the city of Argos via the national highway is less than 2 hours. History, architecture, beautiful views and romance abound in the first capital of the modern Greek state. Don’t miss a summer show at one of the two open-air theaters of Epidaurus, the perfect excuse for an excursion. Porto Heli, a cosmopolitan, five-star destination and the perfect base for trips to Spetses and Hydra. Explore the Franchthi Cave as well as the large and small caves of Didyma, which locals say were created by a meteorite, though geologists disagree. It’s all here, from developed beaches and isolated spots for nudism, to safe seas for the family and water sports galore.